Punjab Police is quick to adopt scientific and modern methodology of crime investigation with changing times. The archaic manpower-oriented investigation and management of order have been and are being replaced with latest scientific aids and communication system. Maintenance of official record is being computerised for quick retrievals and reduction of downtime. The Information Technology and Telecommunications (IT&T) Wing is the nodal Wing for making policies/guidelines, rules & regulations, initiation of proposals and their implementation, training of personnel in the field of Information Technology and Telecommunications. Having a separate Telecom cadre, it also has administrative and provisioning functions. It is also the nodal implementing agency for all such schemes of Government of India. 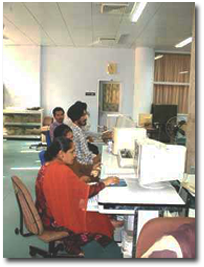 Finger Print Bureau, Phillaur (Punjab) was established in September 1897. 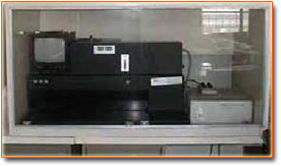 Since its inception this Finger Print Bureau has been catering to the needs of investigating agencies of North-West India including Delhi, Haryana, Himachal Pradesh, J&K and UT Chandigarh. The Bureau functions under the administrative control of Additional Director General of Police, Computerisation and Wireless and is headed by an officer of the rank of Deputy Superintendent of Police designated as Director. 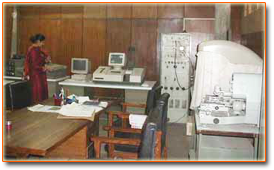 Forensic Science Laboratory, Punjab was established in the year 1980 and the effective crime case work examination started in the year 1981. 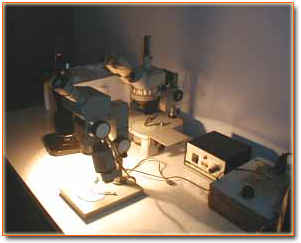 The laboratory is functioning at sector 9, Chandigarh. It comprises eight divisions - (1) Ballistic (2) Biology (3) Chemistry (4) Documents (5) Photography (6) Physics (7) Serology and (8) Toxicology. Besides main FSL, Punjab, it has mini teaching FSL at Punjab Police Academy, Phillaur. FSL Punjab has established its excellence in the field of explosives, as a result the services of the laboratory have been utilised from time to time by Central as well as other State Police Organisations. Senior scientists of the laboratory have been usefully contributing to the teaching and training program being conducted at PPA, Phillaur, PRTC Jahan Khelan, Commando training centre at Bahadurgarh and CID training school at Chandigarh. The scientists are also invited for delivering expert lectures on specific topics in various central organisations like NICFS, Delhi and NPA Hyderabad. Apart from scientific help rendered in crime clues examination, the scientists have always been in the pursuit of knowledge and have been contributing in carrying out research on various difficult forensic problems. This has lead in achieving Ph.D. degree to many scientists and at present nine Ph.Ds. in various science subjects are working in the laboratory to provide the best scientific expertise in the field of forensic science for the state of Punjab as well as for the country. FSL, Punjab is examining approximately more than 3,000 cases per year and a rare feat of zero pendency level has been achieved. As the saying goes that justice delayed is justice denied, the scientists in FSL Punjab put special efforts to complete the examination within 15 days of the receipt of the case in the laboratory. During the militancy period of more than a decade in Punjab, the laboratory has examined practically all the terrorist cases pertaining to shoot outs, blasts, arson, kidnappings, hangings, threatening, etc. The coordination between the police and the forensic scientists lead to the formation of special wing in Punjab Police, which has provided a complete study of threat perceptions from the acquisitions of terrorists in Punjab. The findings of this wing have been collated to the senior police officers to combat terrorism and other governmental authorities were made aware of the requirement of upgrading the facilities of the Punjab Police to meet the challenges and to contain militancy. 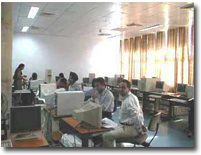 Punjab Police has set up a State level cyber Crime Investigation Cell at Phase-4, S.A.S Nagar, Mohali. It exclusively deals with the case of Cyber Crime and is currently headed by an officer of the rank of inspector General (IG) of police. This Cell performs its functions under the supervision of ADGP Crime as well as under the overall control, direction and guidance of the DGP, Punjab. The Cyber Crime Investigation Cell Consists of well-equipped cyber forensics labs, mobile forensics labs as well as the newly launched Social Media Monitoring Lab. Apart from this, there also exists a notified Cyber Crime Police Station with the jurisdiction of the entire State of Punjab, where Cyber Crime cases of serious nature are registered & investigated under various provisions of IT Act and other related laws.